I’ve been dazzled by all the hype and am jumping on the bandwagon – the Neil Woodford Bandwagon, that is. 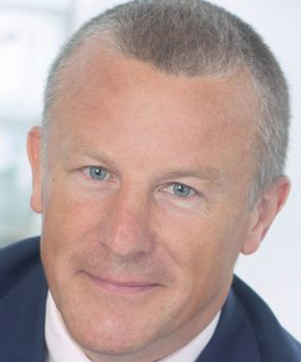 Woodford is known as the chap/legend/guru/wizard* (*delete as applicable) who managed the Invesco Perpetual High Income Fund, which was the best performing fund in the equity income sector, turning a £10,000 investment into £230,000 over 25 years. In order to fund the purchase, I sold one of my existing funds in my SIPP. Although I was selling one active fund to buy another, the annual charge for Woodford’s fund at 0.6% is a bit cheaper than the other (I sold the other fund at an 8% gain). I’ll be buying 1.2k units for £1.2k. Before I’d come across websites like Monevator, I didn’t know the difference between passive and active funds or that they even existed – they were all just ‘funds’ to me. Therefore, I didn’t know that management charges for passive/index funds were a lot cheaper. Anyway, this is the last new active fund I will be buying into – I will gradually swap more of my active funds into index funds or perhaps ETFs (exchange traded funds) in order to reduce charges although I don’t intend to get rid of all the active funds. In the meantime, I shall regularly track the highs and (hopefully not too many) lows of this new fund. This entry was posted in Funds, Portfolio by weenie. Bookmark the permalink. Hi weenie. I have only recently started investing "mindfully" and am also in the process of re-balancing in favour of tracker funds. I'm not sure that I will be able to go completely passive though. We'll see. Good luck with your new fund. I'm sure lots of us with be watching it with interest. Thanks – it seemed too good an opportunity to miss, to buy the units at £1 each. At the moment, I'm not considering adding to the fund but let's just see what happens! Yes, the hard bit about re-balancing is deciding 'which active fund' to keep or buy into? I'm very tempted to just convert all my other active funds into passive as soon as possible, just from the fees/cost aspect but I'm going to try to wait, watch the gains and sell/convert so I don't make a loss. Good luck with your re-balancing! Must admit, I was tempted but I've resisted so far. I just keep telling myself that I should just stick to your nice and easy index trackers. Hi Mrs FF, I will eventually be investing in mostly easy index trackers. I just couldn't resist this one but it will be the last new active fund I invest in.